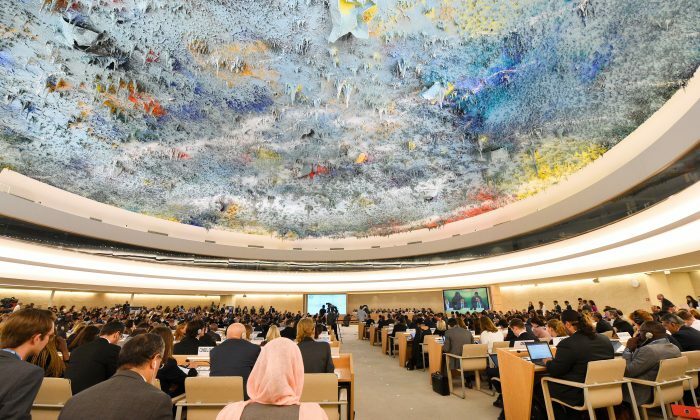 The United States withdrew from the United Nations Human Rights Council on Tuesday, saying the organization was not worthy of its name. Secretary of State Mike Pompeo and U.S. Ambassador to the United Nations Nikki Haley announced the withdrawal early on Tuesday evening. The United States attempted to reform the council for more than a year, Pompeo and Haley said. But the efforts were met from resistance from countries who use it as a tool to insulate themselves from criticism. Meanwhile, America’s allies on the council refused to help publicly, despite being given many opportunities to do so. Many of the countries were embarrassed by the council’s treatment of Israel but would not stand up publicly, Haley noted. American allies on the council tried to persuade Washington to stay onboard, saying that America’s membership gives the organization its last shred of credibility. Haley said that this is the reason the United States is leaving.